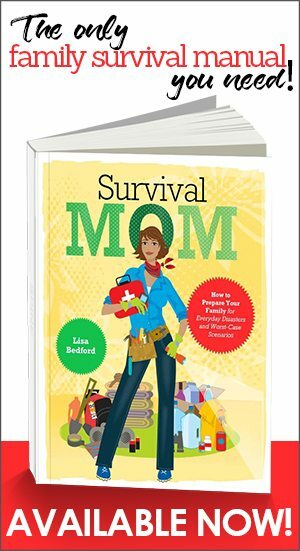 The Survival Template by John Heatherly is a book that could help any Survival Mom or prepper stay focused on being prepared and ready to meet future hardships and challenges. It’s not the typical survival book that gives tips for purifying water and surviving on pemmican. It takes a look at survival from a different point of view. John’s book sets out a rationale for writing down your survival related goals and plans as a strategy for them to become a reality. The book is short, only 50 pages long, and he walks the reader through the process of setting goals starting with the next 24 hours and then thinking about what you’d like to accomplish within a month – 30 days from now. 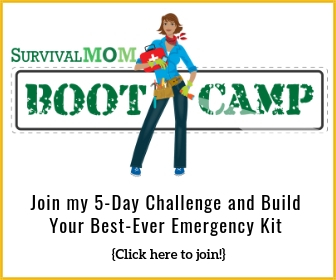 A Survival Mom might list getting the fall garden planted, organizing the food storage pantry, taking a Red Cross class or reading a survival book. There’s so much to be done, and I often feel overwhelmed by it all. Putting a list on paper, though, with a deadline, is key. The next step in The Survival Template is to list what you want to accomplish in 6 months, a year, 2 years, 5 years, and even 10 years from now. Long range plans can be reached by breaking them into smaller chunks. If your plan is to live on a homestead 2 years from now, for example, the short term goals that can make that happen might be to get your current house ready to sell, save money more aggressively than ever, begin visiting rural areas that interest you, research livestock and gardening methods, and meet up with other homesteaders. All those smaller goals, achieved throughout the 2-year span, will likely result in your goal being achieved. Additionally, John emphasizes the importance of paying attention to your physical and mental states, setting healthy goals for diet and exercise and taking into account one’s spiritual , internal tools for surviving. Survival experts emphasize that survival first begins in the brain. 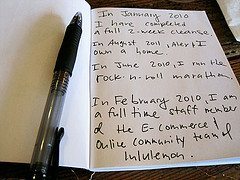 One of the examples he gives of the power of writing goals and believing in them is a note written by kung fu master Bruce Lee. I, Bruce Lee, will be the first highest paid Oriental super star in the United States. In return I will give the most exciting performances and render the best of quality in the capacity of an actor. Starting 1970 I will achieve world wide fame and from then onward til 1980 I will have in my possession $10,000,000. I will live the way I please and achieve inner harmony and happiness. 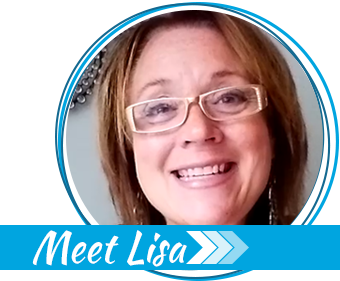 Circumstances and goals change, but the process of writing them down – the thinking and analysis involved, is powerful and many people find that they accomplish their goals just by the power of having them in writing and reading them on a regular basis. If you believe, as I do, that some very tough times lie ahead of America and our world, then staying in a sidetracked mode isn’t a smart thing to do. 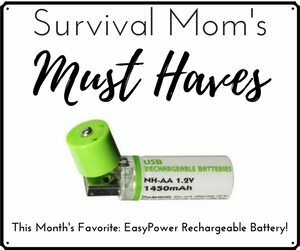 It’s not the Survival Mom thing to do. 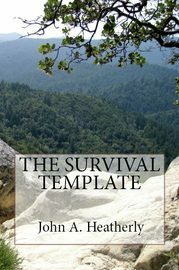 The Survival Template can be purchase on Amazon or at www.survivaltemplate.com for about $10. There’s also a Kindle version for $2.99, although you won’t have the ability to use the worksheets John provides in the book. Note: The author of this book, John Heatherly, was my guest on The Survival Mom Radio Hour on Sept. 29, 2011.